You are currently browsing the tag archive for the ‘Blannahassett Island’ tag. It’s time for Art on the Island again! 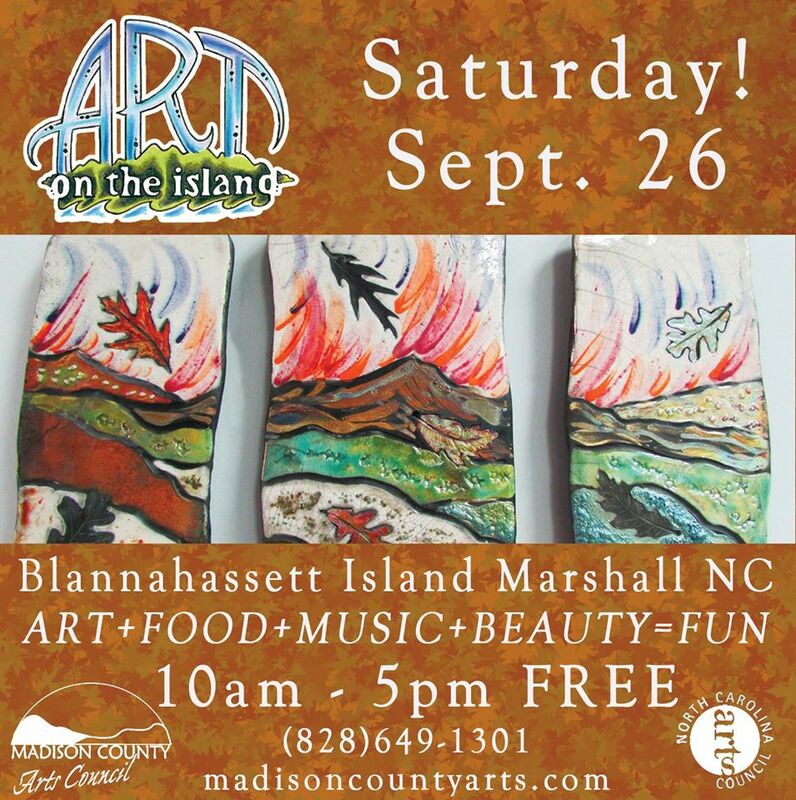 CC Tillery (aka Christy Tillery French and Cyndi Tillery Hodges) will be on Blannahassett Island in Marshall, NC for Art on the Island this Saturday from 10 a.m to 5 p.m. Admission is free so come on by! We’d love to see you! 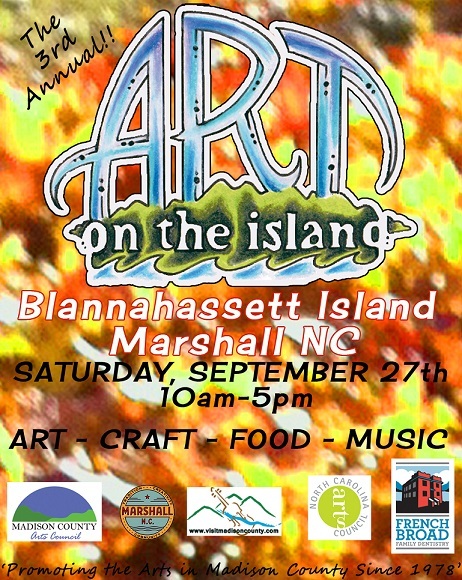 Just a quick post to let our readers know we’ll be at Art on the Island Arts Festival this Saturday, September 27, on Blannahassett Island in Marshall, NC. The court house in downtown Marshall is where Papa took prisoners when he was constable of Hot Springs. We spent quite a bit of time there when we were researching Whistling Woman–not as much as we did in Hot Springs, but close. It’s a beautiful little town and of course, fall is one of the best times to visit the Blue Ridge Mountains. Gorgeous! We’d love to see you there!